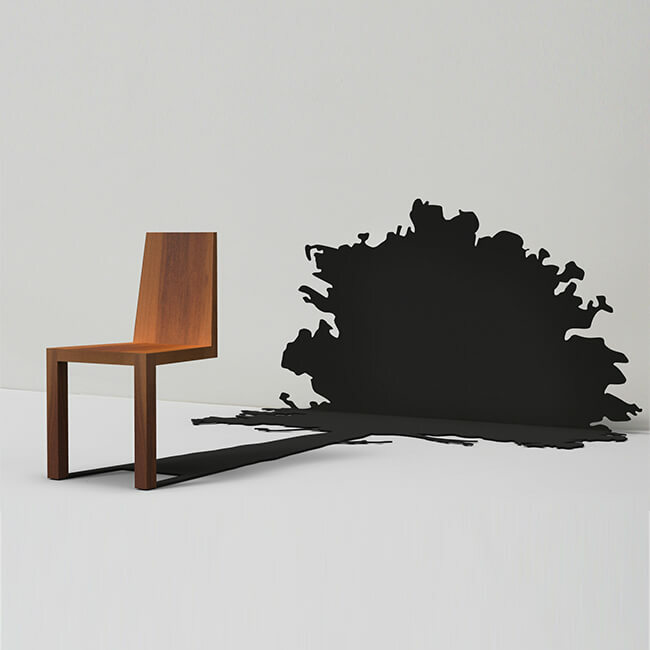 Is it a chair, or is it a tree? Not everything is as always as it appears. 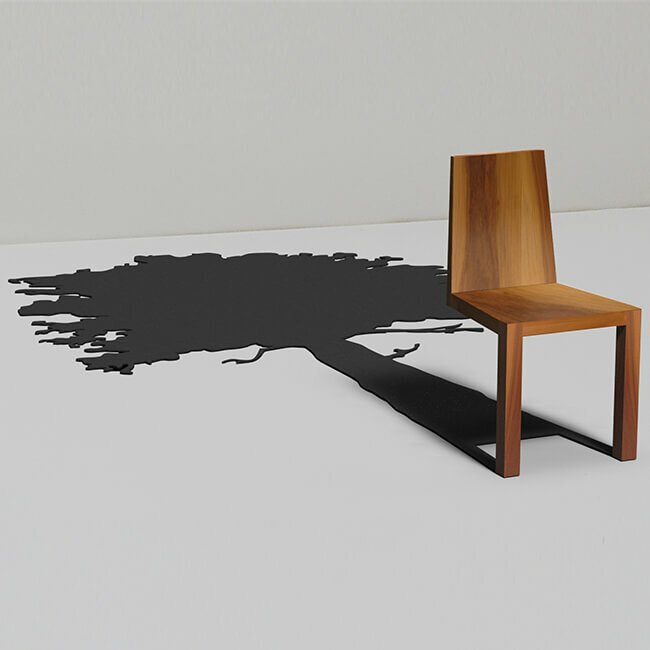 The tree shadow is actually a wool felt rug. Powder-coated mild steel. Walnut veneer from Forest Stewardship Council managed forests and other controlled sources. Rug 100% wool felt.